Alex Morgan. Photo Courtesy of ESPN. One of the best and best-known soccer players in the U.S., Alex Morgan is a striker for the Orlando Pride, one of the co-captains for the U.S. Women’s National Soccer Team. Born and raised in San Dimas, CA, this natural, multi-sport athlete didn’t really dedicate herself to soccer until the age of 14. Reaching her current status in the sport has involved overcoming adversity, namely an ACL injury right around the time she was making the jump to the under-20 Women’s National Team. With more than 150 goals in Club Soccer and International play since 2011, Alex Morgan is one of the most skilled forward strikers and has come up with huge goals on the world’s largest stage. She has played for the Orlando Pride since 2016, but also has been loaned to Lyon, a French side. As much as it may be about the passion for the sport, many athletes are followed and beloved for the things they do off the field as well. When it comes to the lawsuit filed against the U.S. Soccer Federation, what’s notable, what resonates for women of all professions and backgrounds, is that the women are suing the very organization that’s supposed to be advocating for their interests. Moreover, the law would seem to clearly imply that the women are entitled to much equitable pay to the men’s team. On a more personal level, her off-field activities include writing a middle-grade book series, The Kicks. She has also played a fictionalized version of herself in the film, Alex and Me. She has endorsement deals with Nike, Panasonic, AT&T, Chobani, McDonald’s, P&G, Mondelez International, and Coca-Cola. Because she is in her prime. 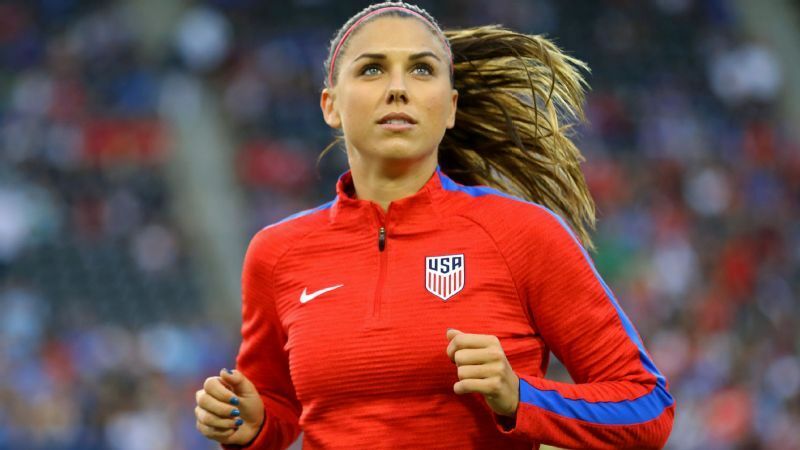 Turning 30 later this year, she still has plenty of great soccer left ahead of her, while also having several years of experience playing soccer at the highest levels and in some of the most high-profile and high-pressure tournaments. Alongside Carli Lloyd and Megan Rapinoe, Alex Morgan is the youngest of the co-captions of the U.S. Women’s National Soccer Team. Whether for the National Women’s Soccer League or the U.S. Women’s National Team, you shouldn’t miss the opportunity to see her play in person.